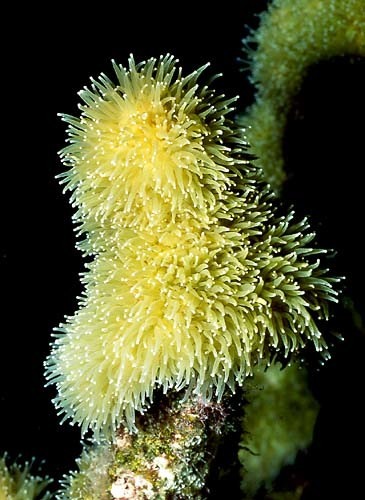 Caption: Dendrogyra cylindricus 3 feet to 8 feet high. This is one of the few hard corals whose polyps are commonly seen feeding during the day. Color varies from tan to green.